There are two main roads you should memorize: Camden High Street and Chalk Farm Road. 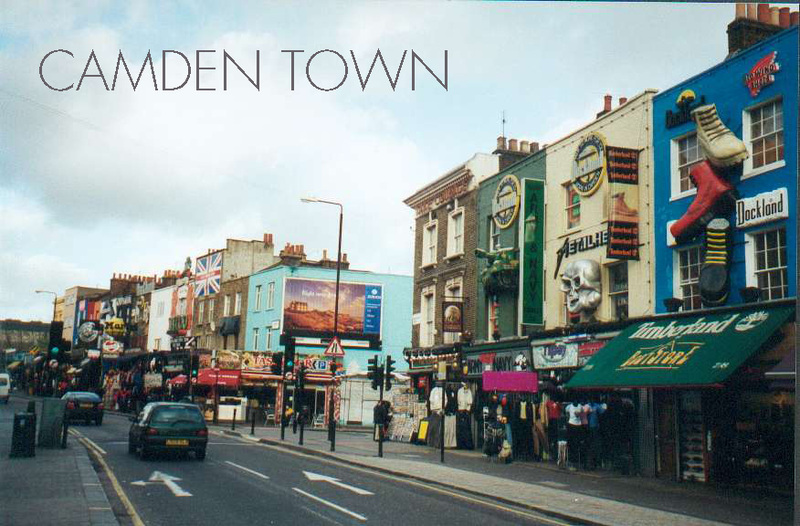 When you walk out the tube station you are already on Camden High Street. The large amount of tattoo and piercing shops with their exceptional facades will instantly catch your eye. Whilst walking in this street you should ignore the typical souvenir shops until you reach the lock. I consider the lock as the centre of Camden Town and as my starting point to discover the area. Deviate from the main roads to visit the following markets: Camden Lock Market (for art, food, books and jewellery), Stables Market (for clothing, furniture and -unfortunately- some drugs), Camden Lock Village (also for clothing), Buck Street Market (for fashion) and the Electric Ballroom (an indoor fashion market, only open during the weekend). Don’t be too scared to walk in some little alleys because then you will discover Camden Town to the fullest! There are plenty of secret places, hidden away somewhere in or around the markets. Every time I walk around here I discover some new nice pubs, restaurants and shops. During summer, Camden Night Market takes place. The markets are open until late in the evening. 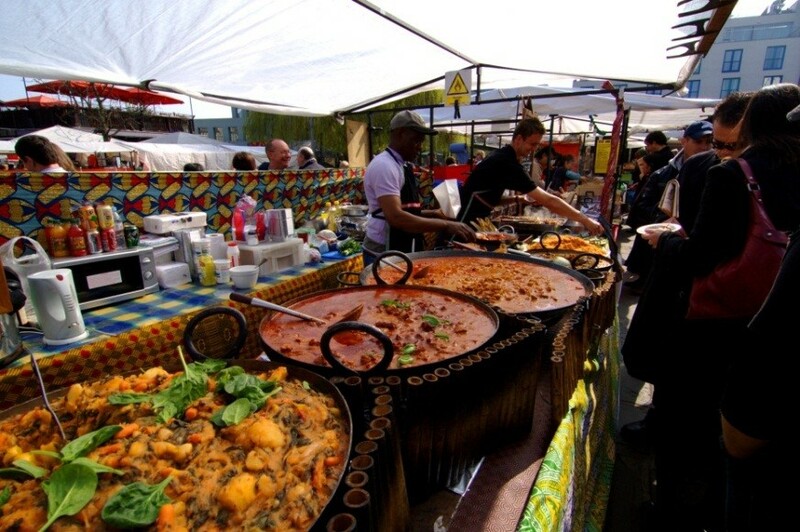 If you start to feel a bit hungry the food stalls with a cultural food mix will give you no other option than trying at least one of them. If you’re lucky your meal will be accompanied by some street artists with a good taste in music. (And if you're really lucky you’ll get to see a fella who can't stop singing Bob Marley songs). For a good cup of coffee, the best hot chocolate and some pastries, ‘My Village Cafe’ on Chalk Farm Road might be the one for you. If you just need a drink I suggest you the Hawley Arms which was the late Amy Winehouse’s favourite pub. Talking about Miss Winehouse, last September a life-size statue of her has been unveiled in Camden’s Stable Market. If you and your friends fancy a cocktail then The Cuban is a must. It’s a (cocktail) bar and restaurant, located in the Stables Market, and during the daily happy hour you get two drinks for the price of one. It’s a well-known place among students. We all know pubs close quite early in the UK and unfortunately this also includes those in London. It can be useful to know in advance where to go after midnight. In Camden there’s KOKO Club for example. This is a famous music venue and late night club. Don’t go there in your joggers and a hoodie, you need to be dressed up to deserve your entry. Another recognized venue to watch a good gig is The Roundhouse. An extra tip from me for you: near the lock, next to a Starbucks (they seem to pop up everywhere) there's a small bridge hanging above the canal. If you go that way you can literally walk away from the tourists and have a nice quiet stroll near the calm water of Regent's Canal (with sometimes pretty annoying ducks in it). On your way you'll pass signs and one of them says Primrose Hill. If you see that one, don't ignore it but follow the direction it suggests you. Why? Well, it leads you to a famous hill in London where you can chill out with friends, have a picnic and a few drinks and relax. Go up the hill all the way to the top and absorb the panoramic view you will then get to see.